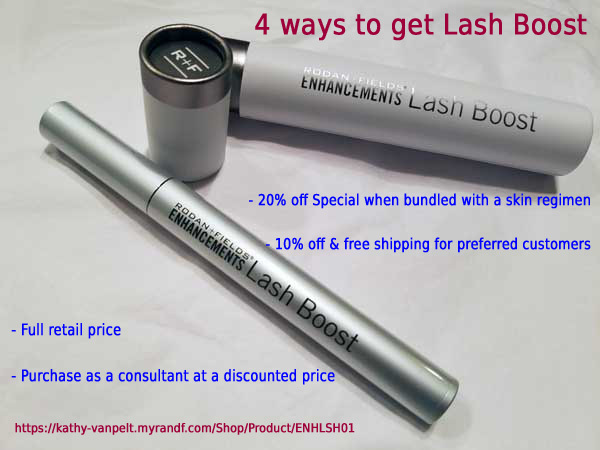 4 Ways to Get Lash Boost – Get Yours Today! Order a bundle by October 31 and get a thank you gift from me! Lash Boost is back as a standalone product. It lasts for at least 60 days and helps your lashes become longer and fuller. My lashes are much fuller since I’ve been using Last Boost. And, you can use it on your eyebrows. Get it now with a 10% discount and free shipping! You can also still get it packaged with a skin care regimen and save 20%. Message me with your order.